Augustine Thibaut brings a poetic touch to an interior. Inspired by an English paper of the 18th century, he staged magnificent hummingbirds flying from branch to branch. 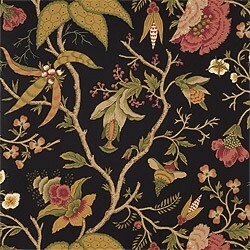 This wallpaper illuminates your rooms even darker ones. 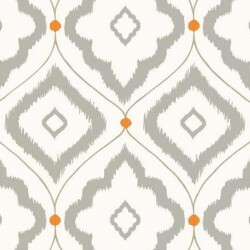 Opt for a modern style to provide the best support this wallpaper. It can fit into an entry, in a hallway, in a bedroom or a bathroom. It gives a trendy look to each space. The pattern is a combination of damask and mesh that have been revisited to make them more modern.If this wall decoration works well in a room with restful colors, it also fits in a lounge or in a hallway. He will play a calming role in your space and help achieve a pleasant harmony with his surroundings. Wallpaper lush vegetation spirit, soft and bright colors, washable paper. 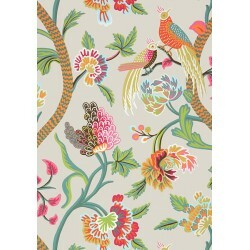 Decorate your walls with Farris wallpaper from Thibaut. Its bright geometric patterns stand out perfectly. 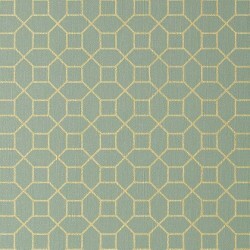 Its vinyl composition makes washable wallpaper and to better fit in a living room. It brings elegance to your room. 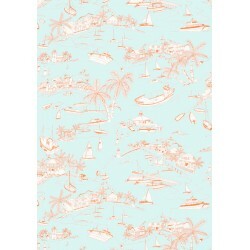 This wallpaper has the name of a state that is located on the southwest coast of India, Goa. 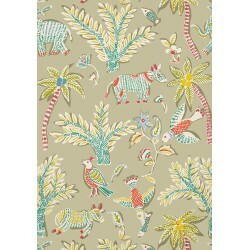 But by the embroideries from Sri Lanka that the US publisher Thibaut drew inspiration. 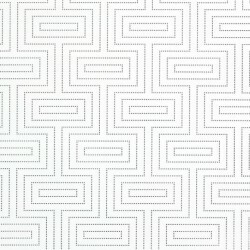 Specifically, this wallpaper is inspired Bakit, a printing technique stuffs practiced in several countries such as Sri Lanka. 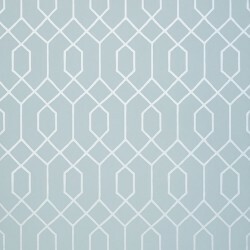 Named in reference to the muralist John La Farge, this wallpaper Thibaut is a geometric pattern lattice, reminding work on stained glass. It integrates easily with different types of universe, especially with the Art Deco style.